At the Perth Writers Festival this year John Tranter repeated the idea about poetry he has consistently adhered to, “If you want to communicate, use the telephone”. While John has taken it from modern American poets, it’s an idea that dates from the period of Modernism, one hundred years ago. I want to argue that it’s a form of giving up, and that poetry’s most important role is still the traditional one of communicating a combination of deep emotion, complex thought and a spirituality that often seems to lie just outside the reach of language which constitutes the deepest expression of meaning available to humans. Since Modernism people have run away from poetry to the telephone, and the most urgent need of contemporary poetry is to get them running back. 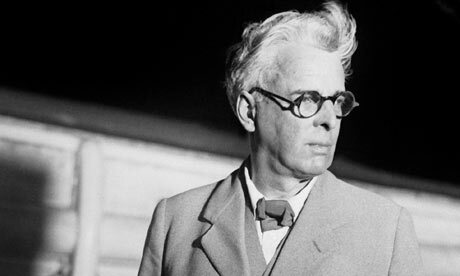 Poetry is about “communicating a combination of deep emotion, complex thought and a spirituality that often seems to lie just outside the reach of language which constitutes the deepest expression of meaning available to humans” Haskell. You can read more on the AP site, but you’ve got to be a member and I recommend anyone with a strong interest in poetry to join up. I wonder, what’s the best definition of poetry you’ve heard? 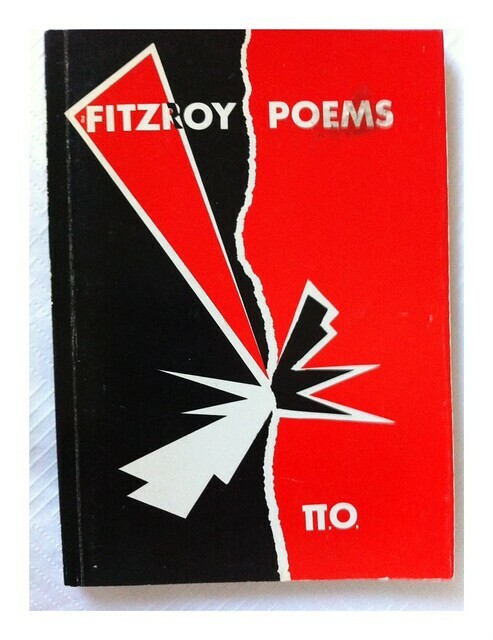 Picked up an old copy of ‘Fitzroy Poems’ by Pi O today, published by Collective Effort Press in 1989. Nice grungy, earthy work of a place that has just about disappeared now: the old Greek Fitzroy. At times it’s like these poems are in some strange dialect and the personalized typography doesn’t help. 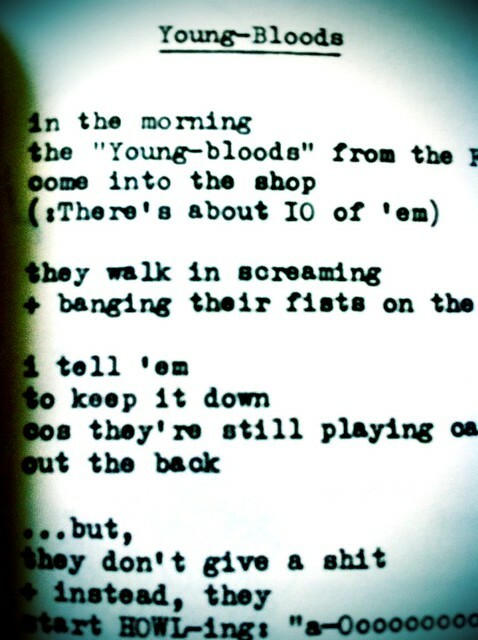 Oddly enough though, it was the typewriter cut and paste feel of the typefacethat grabbed me, and made me grab this. It feels hand made, and the bookseller in Fed Square told mr that Pi O still calls past the booksellers at times. Of course he does! What is this new European thing with two German writers winning my Book of the Year after the dominance of American writers. But Enzensberger is no sudden surprise. I’ve liked his poetry ever since I read his early book The Sinking of the Titanic. The image of the grand piano falling down the slanting floor of the grand ball room as the great ship lists to its fate, is one that’s so embedded in my psyche that I can’t remember whether he invented it or me but this book is just as good and may bring new images that will last. The subtitle of this new collection is revealing, ’99 meditations’ and these are much more inward looking and private poems than the grand metaphor of hubris. The book is summed up as a celebration of the ‘tenacity of normality in everyday life’. Ron Pretty is an Australian poet who has been writing poetry for more than forty years and his latest book Postcards from the Centre, is just as good as anything he’s written. 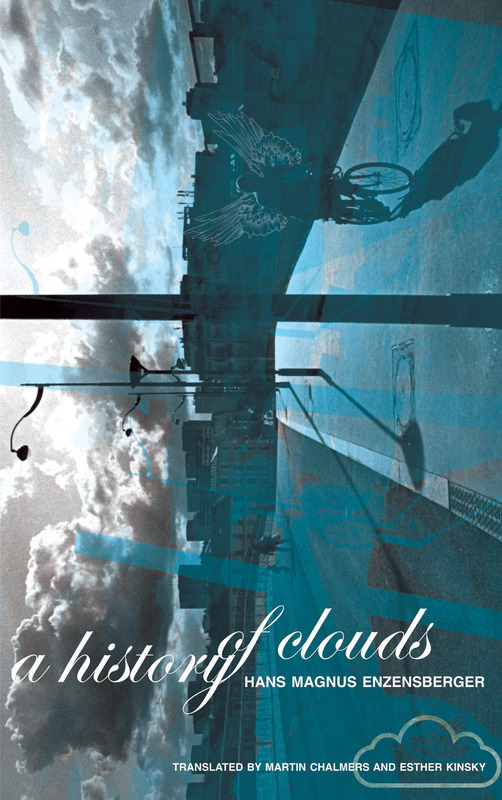 These are lovely, thoughtful, crafted poems and, continuing the theme of the cloud, there’s plenty of weather here too. But the greatest compliment I can pay this book is the one where I know a book has touched me: it made me want to write. Finally, I didn’t entirely ignore the American connection this year. Once again in NY I found a book that’s been on my Amazon wish list forever, Raymond Carver’s A New Path to the Waterfall. It was good to revisit one of my favourite American poets again.